Just tried to install it on laptop - where it be full install - (Squeeze never on this machine) and it wanted a serial number - so I stopped. Then I almost installed it on edit machine - and it automatically took my current serial number in the set up menu. But I stopped it - I am bit cautious thats all. FWIW... I installed the full version on our Mac Pro from an old serial number without any problems. What transcoder will replace SSqueeze with Avid MC ? There's quite a few free or low cost tools out here, which is obviously why Squeeze is EOL. One that I use is Convert, but I don't have to deliver to broadcasters any more since I have (finally) retired and it's now just a hobby for me. Adobe's Media Encoder does a nice job too. What will Avid replace it with? It might very well go the same way as DVD authoring. Is there a Mac Version of this link? I'm still having issues. This link for the Mac version should still be working. This link is still working as of today, 7 Sep 18. The installation read my Squeeze 10 serial number during the install and works perfectly. Thanks DStone for the link! Anything new to report? I like media encoder but don't love it. Will learn to, for now. I had the lite version of Squeeze and my assistant had Pro and used it for the bulk of our streaming. I was just about to upgrade to pro, myself, when I heard the news. Thanks, and keep up the great work at Avid. I like the continued improvements/changes with Avid. I really love that assuption and hope you are right! This encoder allows you to get MXF DNx files with AAF links for each file, which is very convenient at the stage of preparation of footage. 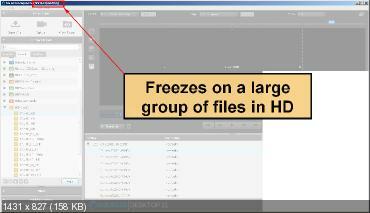 But unfortunately, it crashes when you try to add many files in high resolution, for example, more than 10. Obviously, this is due to the 32bits architecture of this encoder. Which alternative encoder is suitable for fast work? Thanks.